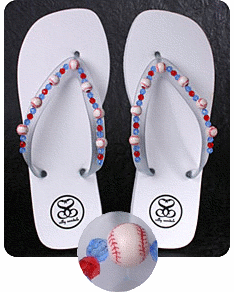 Women are flipping out over these baseball flip flops by Silly Sandals. Authentic and stylish looking, these are perfect for female fans young and old. 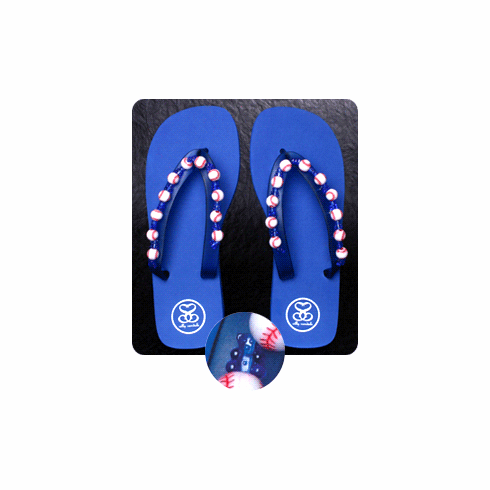 This Home Run design features a royal blue sole with blue baby bear beads and baseball beads across the straps.